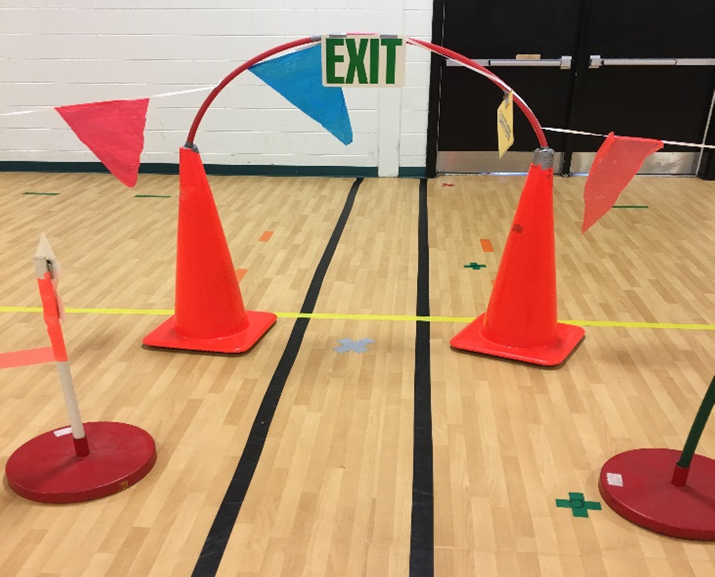 PE Teacher Justin Wiese shares his Ninja Warrior obstacle course activity that he teaches to K-6th grade students at Hopewell Elementary School in the Pleasant Valley Community School District. Every year since our school opened 6 years ago, we borrow large crash mats that are shared throughout the five Elementary School buildings in our district. I chose to borrow the mats right after Spring Break as part of a climbing/ gymnastics unit. 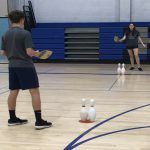 This started as daily activities with single classes of 20-25 kids, and has evolved into a 5-6 day unit that could accommodate double classes (about 40-50 students in the gym). 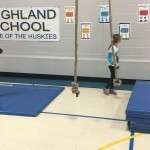 The unit starts with stations where students learn things like how to climb a cargo net, go across parallel bars, balance beams, high jump, and climb large stacks of mats. The unit ends with an American Ninja Warrior Obstacle Course (inspired by the television show) that works on strength, endurance, flexibility and agility. The American Ninja Warrior Obstacle Course has quickly become a favorite for our K-6 students. 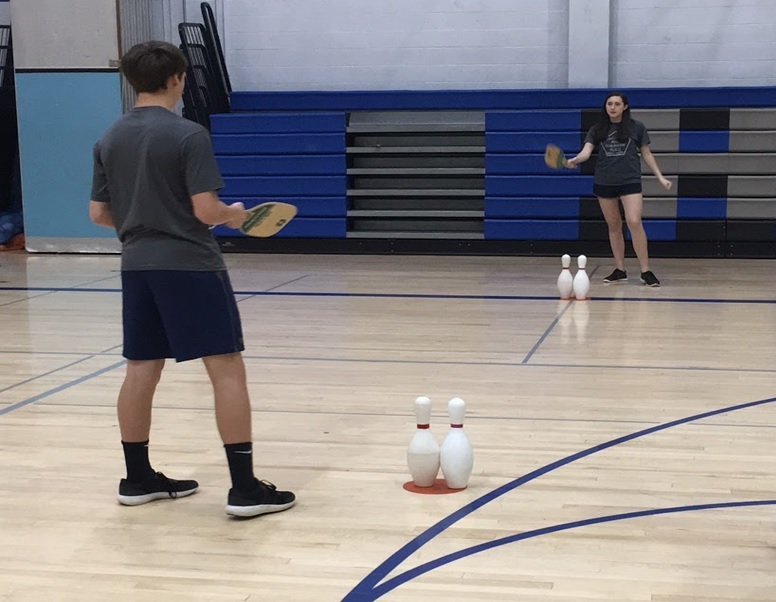 It has evolved over the years with the addition of equipment to try and creatively get the majority of our students moving for the majority of our class period within the gym space. This takes about 30 minutes to set up at the beginning of the day and about 20 minutes to tear down at the end of the day because our gym is used after school, but it is totally worth it! With the amount of students we have per class, I have a large line of students at the start of the course and then have students begin at certain parts of the course. I put an iPad at the start with a Tabata app set at 10 second increments so that every time it buzzes, a new student begins the course. The course starts in one corner of our gym and zig zags back and forth throughout our gym finishing in the opposite corner of the gym. Students start by going across a balance beam, then move on to climb a “mountain” of large crash mats, go through a series where they jump over a hurdle, through a hula hoop, over a hurdle, through a hula hoop then go to the cargo net, climb the cargo net to a preset height (we put a piece of gym tape with how high they can climb), and climb down. Students then go the other direction and go over 3 folded tumbling mats like plyo boxes, then go through another series over a hurdle, through a hoop, over a hurdle, through a hoop and turn the corner. Students will then grab a scooter, sit on the scooter, grab the rope that is pulled between two volleyball standards and pull themselves to the other side, drop their scooter off in a designated bucket and go through our “agility tires” hula hoops on the floor. 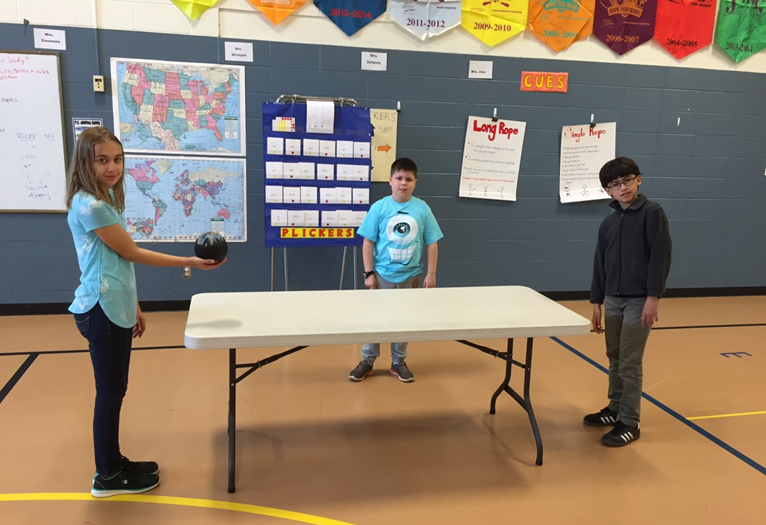 To turn the corner, students will toss a tchoukball off a rebounder, then repeat this at the next rebounder and start moving the other direction. Students will now army crawl through our tunnel, then grab a scooter and scoot under our arcs (hula hoops that are cut in an arc and placed in cones. Students then set their scooter down in a designated bucket and go the other direction up and over a climbing apparatus, get through the parallel bars with their choice of exercise, and finish by going up and over a large mountain of mats. When finished, students are encouraged to go get a drink in the hall and then get back in line. As I said, this has changed throughout the year with the addition of new equipment creatively finding ways to make tweaks here and there to add new obstacles. The students have really enjoyed this and are pretty exhausted when they leave. Here are my students going through the obstacle course, to give you a visual on the entire activity. Justin Wiese is currently teaching his 13th year of teaching. He has been in the Pleasant Valley Community School District for the past 6 years. Justin was recently named the 2016-2017 Iowa Elementary PE Teacher of the Year. He has been involved in IAHPERD throughout his career and has written numerous grants to improve his PE program. Justin loves teaching Physical Education and enjoys learning new ideas of how to teach it. 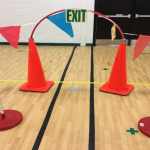 This entry was posted in PE Activities & Games, PE Central and tagged American Ninja Warrior, Justin Wiese, Ninja Warrior, obstacle course, pe class, pe teacher, physed, Physical Education by Guest Blogger. Bookmark the permalink. On a serious note, I do an enrichment class after school and engage them in classes set up as a ninja warriors workout. I would love any input you have to share. Thanks so much for sharing. This is such a great way to keep our kids healthy. Looks awesome! I wish I had all of your cool equipment!